In today’s post, guest author John Montana discusses his recent short film, Hungry. It has been accepted into 24 film festivals all over the world. In the post, John speaks about the importance of the soundtrack, how it influences the mood of the film and the perceptions of the viewer. He also goes into detail about how he came up with the score to the film and gives examples of other films with musical scores he thinks are particularly good. I really enjoyed Hungry. It’s is a little over 7 minutes long and well worth the watch! I was not even remotely anticipating what actually happened, and to me that is always a good sign. You can click on the image below to watch the film. Making a short film, or any film for that matter, can be a lot of amazing fun. I recently made my most recent short film called HUNGRY. A wicked, humorous, little piece on the greed that is rampant at Christmas. Here is how I came up with and developed the sound and music in the film. The way I work is that in the very beginning of preparing to shoot the film, when I am still writing the script actually, I start to listen to music that I like. I listen with the sole purpose of getting a feel for how this particular song will go with the film. I use each song that I like or think might go well and imagine how it will tell my story. I cannot tell you how important music or sound is in setting up your story or film. If you can do it right, then the whole film just falls into place. Another example of how much music played a part in my film is when the main character walks into the shop, the owner is listening to 1930’s jazz. The story’s background was that this woman has been alive for several hundreds of years, and this is her favorite music. Now you don’t actually see a 500 -year old woman on screen as that was just the back-story. But this music really helped the actress get the feel for what I wanted and her performance made the film. Another instance of how important sound was for me, was in editing. 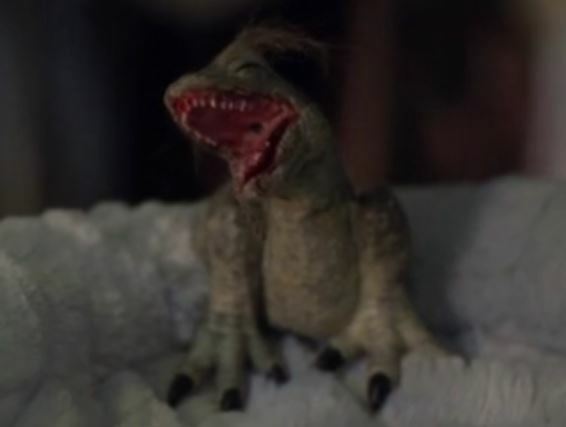 My film is a horror film, and so I had a small creature character. Because I was on a small budget, I couldn’t really afford to build a creature that could move in every way I wanted, so movement was limited. What I did though, was to search a couple of free sound sites for sci-fi sounds, or dinosaur roars. It took me weeks to get it the way I wanted. In order for the creature to look realistic, I had to use different sounds for each 2-second piece of footage that had the little guy in it. Each different sound conveyed a different want and emotion in the creature. It was incredibly grueling and difficult work, but in the end, the sounds and music are what really helped this film. In my opinion! When my main character was being eaten alive, sounds were so vitally important in conveying the horror of what was happening to him. At the end of the film, when it is clear that the owner is in cahoots with the creature, or the creature is almost her mate, then I needed music to convey the craziness of this situation. So I put in this wild and crazy piece that makes me giggle whenever I hear it. A. Needs Talking – I actually came up with the idea of this film because I can hear a train’s whistle in the distance from my current home. Hearing the train, I was hit with how lonely it sounded…and then the story came to me of a married woman being alone in her own home. And then leaving. B. A House Cleaning – This had the feel of an old 30’s mobster film for me, and I went looking for some music from that time period. I had 2 songs from public domain that I used… the first one being a lively jazz piece that slowly moved into a foreboding piece when it becomes clear to the audience that danger is approaching. I thought the music really helped the film. C. LATE – You know…I used the sounds of the airport to open this film. The hectic rushing to and fro at LAX and how the lead woman came rushing into focus. And then I used the fading of those loud and crazy sounds into silence to enter into old memories. And then the quiet of the hospital hallway and the hum of the elevator to convey her fear. As it is always quiet before the storm. And then I used the saddest music I have ever heard when she finds out her mom has died before she could say goodbye. D. The Chaser – This is a very eerie little story that I adapted into a short. I found some very strange screeching of metal sounds and high-pitched eerie music to open the film to show just how far the lead guy had to go to have this meeting. And the strangeness of the building. E. RED – The final film of the Three Colors Trilogy by Krzysztof Kielslowski. This is such a magical film and the music he used in it is beautiful and eerie. From sudden crashing cymbals to convey horror, to gentle intoxicating music for the “Fashion Show”, to again crashing doors for when the storm blows in. It is such a subtle and at the same time “in-your-face sound effects and music. For me…the music in this film is the most amazing sounds and music I have ever heard used in a film. From the weird lively beat by some kind of reed instrument (I’m guessing) when Deckard is walking thru the outdoor bazaar to the echoing music when he is in the great building of the Tyrell Corp. Even the weird futuristic music by Vangelis for the scene transitions are masterful. For me again… this movie is the perfect example of how important music and sound are to creating the world of the film you are making. This is the most recent film by the French director who brought us the beautiful and haunting film – “La Femme Nikita”. In LUCY, the use of music has really been amped up to make the horror of what is happening to Scarlett Johansson’s character. There is the slow low drumbeat of when she is waiting in the office lobby in the beginning that makes you squirm in anticipation of something really bad coming her way. Then there is her becoming super aware: She hears the minute sounds of creatures crawling and the sounds of radio waves as they go up out of peoples cell phones. There are way too many examples of how he uses sound to enhance this film. John Montana is an actor living with his wife in L.A. and has begun to make short films. His most recent film, “Hungry” has been accepted into 24 film festivals all over the world. His website, No Title Production Films, contains all his films. Music in film has the potential to be incredibly powerful, so using it to your advantage can really help make your video shine. Thanks for sharing this. Hi Rachael. I agree! Music is not only one of the most powerful storytelling elements, it is one of the easiest to add. Music can completely change the mood of your video. I think if people were to sit through a Hollywood movie without the soundtrack they would be amazed at how boring it is! Thanks for sharing such helpful stuff. Will help me in my Film Production business. 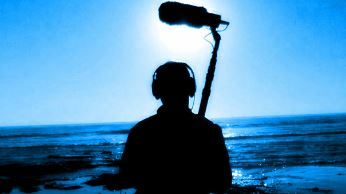 When we can convince our clients that they should spend the extra resources for great post production audio finishing, our go-to resource for Sound Design is Levels Audio in Hollywood: http://www.levelsaudio.com/. Can’t recommend them highly enough.